The tarragon plant and tarragon essential oil. It is supportive to the digestive system and may supports overall wellness. Contains naturally occurring constituent estragole. Tarragon therapeutic grade essential oil is simple and convenient to use everyday; and you can use it for cooking as well! Just in case you have run out of the herb, just place a drop in your salad dressing or sauce. It’s that easy. The oil is steam distilled from the leaves of the plant. The one I use personally is grown in Italy or France. Tarragon essential oil is in one of my favorite professionally made blends, Di-Gize that is specifically designed to address all your stomach upsets! It also contains ginger, peppermint, lemongrass and fennel essential oils. And more! This section is a fun and easy reference guide for the Tarragon Plant and the Essential Oil. It will tell you how to use it and what to use it for. It will also provide you with some fun suggestions, safety precautions for you and your pet! As I receive new tips and testimonials for Tarragon they will be added to the page, so check back frequently! Want to Purchase Therapeutic Tarragon Essential Oil? Buy Tarragon Essential Oil Here! Why is this information important? While there are not many different species of Tarragon, it is always a good habit to purchase your essential oils by Common Name and Genus Species. 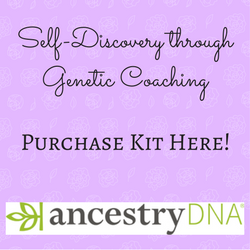 Some companies may try to substitute a species within the family and try to sell it for therapeutic use! So make sure you know your source and you are purchasing the right genus species! Other common names for Tarragon include: Russian Tarragon, French Tarragon, Estragon and Dragon's-wort. Where is the name derived from? The Tarragon plant comes from a Latin word "dracunculus" meaning "little dragon". Did you know that Tarragon was used by the Ancient Greeks for toothache? Tarragon contains eugenol, which also can be found in clove essential oil and is a natural anesthetic. What are the Tarragon Properties? Soothing yet uplifting. What are the Documented Uses for Tarragon? Supports healthy digestive system; may support overall wellness. What is the Aromatic Affect on the Mind? The herbaceous aroma is uplifting. What is the Spiritual Influence? The tarragon plant provides positive energy for addressing change. This will especially help when the change is forced as in the case when there is an incident that produces shock, intense fear or other life changing experience. This is what most people would call a "wake up call". The energies of the oil will help accept the situation and protect you from completely shutting down to the point of despair. It will also ground you by pulling your energies down into the first chakra. What Chakra is Affected? Root, sacral, solar plexus and heart chakras. What are the corresponding Chakra Colors? Yellow-green. Interested in Dietary Tarragon Essential Oil for Your Culinary Adventures? 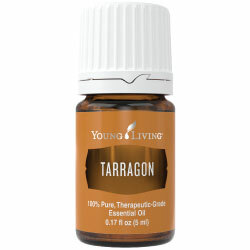 Then check out Tarragon Vitality Essential Oil! Can this Oil be used for Animals? Yes, but to be honest I prefer to use in a blend such as Di-Gize. Note about Animal Use: Certain oils can be very toxic to cats. Pine and citrus products and oils in particular if not therapeutic grade. Please consult your vet if you are not sure about applying any essential oil to your pet. What are the Safety Precautions? First, only use therapeutic grade essential oils! The tarragon plant and essential oil is Generally Regarded as Safe (GRAS). Tarragon oil should not be used on children younger than 6 years of age and should be avoided during pregnancy. Additionally, it should be avoided if susceptible to epilepsy. Did you know that the French call Tarragon the “King of Herbs”? This is because the French use it in so many sauces, salad dressings and chicken and fish dishes. Did you know that the Tarragon genus name, Artemisia comes from the Greek God Artemis? Artemis was the goddess of the Moon! Go to the Oil Shop! Buy Tarragon Oil Here! Add a drop of Tarragon oil to your favorite salad dressing to enhance the flavoring and help with digestion!